Independent Dish Network, Directv, FTA satellite tv and home theater installers and dealers in Georgia. Atlanta, Georgia and surrounding cities: Lawrenceville, Greenville, Spartanburg and Anderson, GA.
Macoon, GA including Fort Valley, Swainsboro and Valdosta, Georgia. Savannah, GA and Albany, Hinesville and Valdosta. Use the SatHookup Network to find local satellite tv/home theater installers and dealers in Georgia. 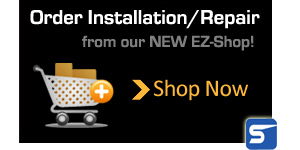 Click on the map above to find local, certified Dish Network retailers, DirecTV retailers, Dish Network installers, DirecTV installers, satellite internet providers, free to air satellite, satellite repair and home theater installation companies. Don't know what to order? Know the desired result but don't know how to or can't figure out how to fix a satellite problem? 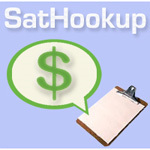 Get help from a friendly SatHookup Installation Specialist on your project for only $10. SatHookup specializes in local satellite tv installation and satellite repair for Dish Network, Directv, and FTA in Atlanta, Georgia and now Nationwide!